I have always had issues with the way iPhoto works. It's slow, it constantly duplicates my photos for no reason (like, say all 300 of my Israel trip photos) and it's not intuitive. It's just clunky and terrible to use. 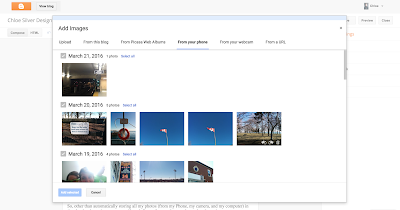 I had considered making the switch to Apple Photos, but my recent run-in with Google Photos may have stolen the show. I had recently been to three concerts, and was procrastinating moving the videos from my phone, when I got a happy little notification from Google Photos. 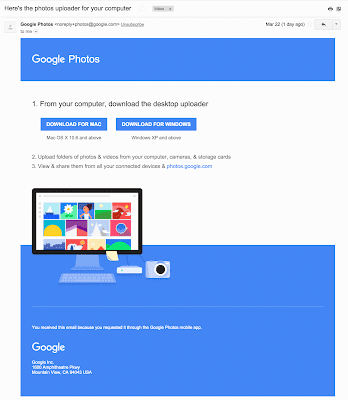 I had been dabbling in the Google Photos app when I was using my friend's Android phone, and knew that Google Photos automatically backs up all photos to the cloud whenever you're connected to the internet (which in itself is a wonderful thing – I don't have to do it manually anymore). I knew that deleting photos from my phone would also delete them from the cloud, which makes sense, but how would I go about deleting photos from my phone without deleting them from the backup too? Just to keep them from taking up space on my phone? I googled it, and found the perfect answer in the help section of google. Google even offered to send me a download link to my email for the desktop app, which I was very excited to try. I really need to free up some space on my computer (60GB+ of concert photos just sitting there collecting dust). And of course, all of this content that I am removing from my phone and computer can be viewed in exactly the same way as long as I am connected to the internet. Which most often (and certainly when I am looking for photos), I am. 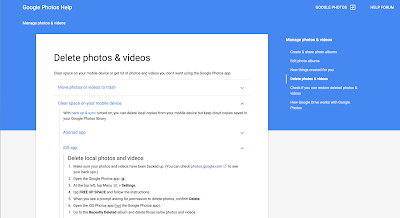 And did I mention that Google Photos online storage is UNLIMITED?! Using google products is a damn pleasure. Now let me talk a bit more about another amazing feature in the mobile version: the assistant. Other than knowing when to alert me to free up space (as I mentioned before), the assistant does all sorts of cool things like creating gifs and albums out of my photos and videos. 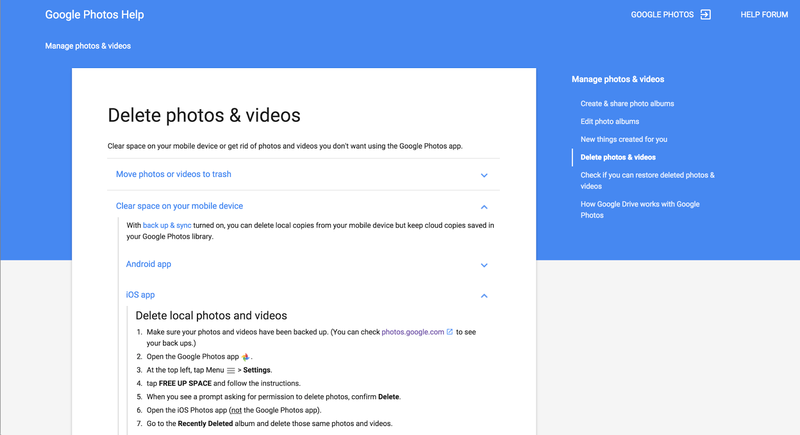 Another thing I really like is the empty state of the trash can inside the Google Photos mobile app. It's a little raccoon! It did also make me wonder if the app is somewhat location-based since it's a raccoon in a trash can (seemingly a Toronto thing?) or if the problem of raccoon bandits messing up your garbage cans is a globally recognized occurrence. And the last cherry on this huge, delicious, space-freeing cake is that I have finally found a good design decision in Blogger, otherwise well-known to be the bane of my existence. When I upload my photos to the Google Photos cloud, they automatically appear in dialog window of adding pictures to my blog. And that's exactly how a bunch of these screenshots got added to the post you are reading right now! So, other than automatically storing all my photos (from my Phone, my camera, and my computer) in the cloud and creating awesome gifs and albums for me, the app also makes the entire process a pleasure with its design, interactions and illustrations. I am in love with Material Design and don't care who knows!